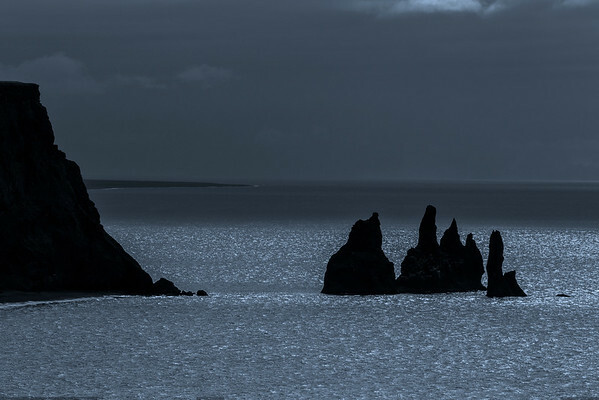 While it looks like a shimmering moon is lighting up these sea stacks, I made this photo on a mostly clouding morning. The sun broke through the clouds and shimmered on the sea. As a color photo, this one just didn't make it. Turning it to black and white and adding a touch of blue, I think I made a pretty good moonscape.